Ashfield, part of UDG Healthcare plc, is a global leader in providing outsourced healthcare services to pharmaceutical, device and biotech companies. The company has more than 7,000 employees, operates in 23 countries across Europe, North America, South America and Asia and works with more than 250 businesses, including all of the world’s top 25 pharmaceutical companies. Its mission is to partner with its clients, helping to improve lives by ensuring healthcare professionals and patients get the medicines, knowledge and support they need. 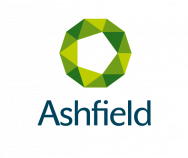 Ashfield provides contract sales teams, customer service reps, medical science liaison officers, remote detailing, nurse educators, medical information, healthcare communications, market access, market research, training, event management, digital, creative, pharmacovigilance and advisory services.